Nobody gets married with the intention of getting divorced. Unfortunately, that’s just what happens in a lot of cases. There are as many different reasons for getting divorced as there are married couples. The good news is that a divorce doesn’t mean your life is over – far from it. To make your divorce easier, our Daytona Beach divorce lawyers have some advice for you, advice that divorcees often wish they’d had beforehand. One, you prolong the time it takes for the divorce to become final. Two, you spend a lot more money on attorney fees than you need to. Finally, it takes you longer to recover emotionally. When you keep fighting, it makes you feel angry and helpless at the same time. Of course, you can still ensure that your needs are being met by hiring an attorney to take care of the hard negotiations for you. However, if it’s not about custody of the kids and meeting your financial needs, it’s probably not worth fighting over. In most relationships, only one of the partners manages the money. While that may be okay when you’re happily married, both of you should understand your joint finances when you’re splitting up. When you’re married, you usually own all assets and liabilities jointly. Therefore, it’s important to do the research and identify every single account. Your attorney can give you some advice on how to get that information if you don’t currently have full access to all the financials. If you’re dealing with a high-asset divorce, this part may require the help of an expert. Many divorcees report that they waited too long to split up with their partner. Of course, in a way it’s a good thing that you can’t just get divorced overnight. After all, every relationship has conflicts, and you don’t have to get divorced just because you had a little spat. The problem is that many married people are unhappy in their marriages. However, since they’re not sure what to expect during a divorce and after, they wait a long time to act on their feelings. We’re not urging anyone to get divorced. However, if divorce has been on your mind, and you know it will happen eventually – it may be best to take action sooner than later. After your divorce is final, you can have a fresh start in life and whether that’s with a new partner or not – it’s a new beginning for you. Planning a divorce but not following through just keeps you in limbo forever. It’s best if you expect the divorce process to be difficult. While your Daytona Beach divorce lawyer can make it easier for you, they’re not miracle workers. In fact, the most difficult part of the divorce is probably the emotional struggle you’ll be going through. You should expect the holidays to be hard, and it’s going to take quite some time to adjust living without your partner, especially if you haven’t already been separated before the divorce. Divorce is also hard on kids, and while they may not tell you, you can see it in their behavior. If needed, you should consider enrolling everyone in counseling. It goes without saying that you need the right attorney to help you with your divorce. If you hire a criminal lawyer to do the job, you’ll still get the divorce, but you probably won’t be happy with the settlement. Instead, you should find an attorney who specializes in Daytona Beach family law. That’s because divorce isn’t just about breaking up a marriage –it’s also about sorting through custody, visitation, child support, alimony, and helping the divorcee to a good start in their new single life. Getting divorced is not easy for anyone, but the administrative parts of it don’t have to worry you. 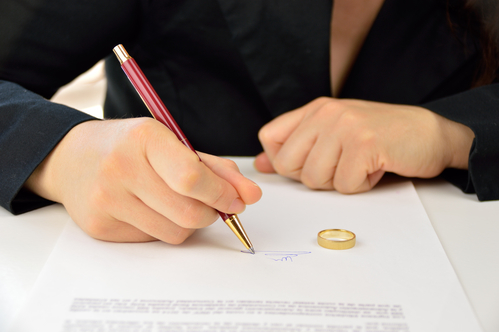 The Harr Law Firm has the experience to make the divorce as smooth as possible for you. These experienced divorce attorneys can negotiate on your behalf and achieve a divorce settlement that’s fair to you. Give them a call for a free consultation or send them a message through their contact form.